Looks pretty familiar, huh? The lack of house updates is not due to lack of blogging time, but rather lack of progress. As disappointed as we are that things haven’t been moving along, we are doing our best to not worry about it and to trust in our builder. 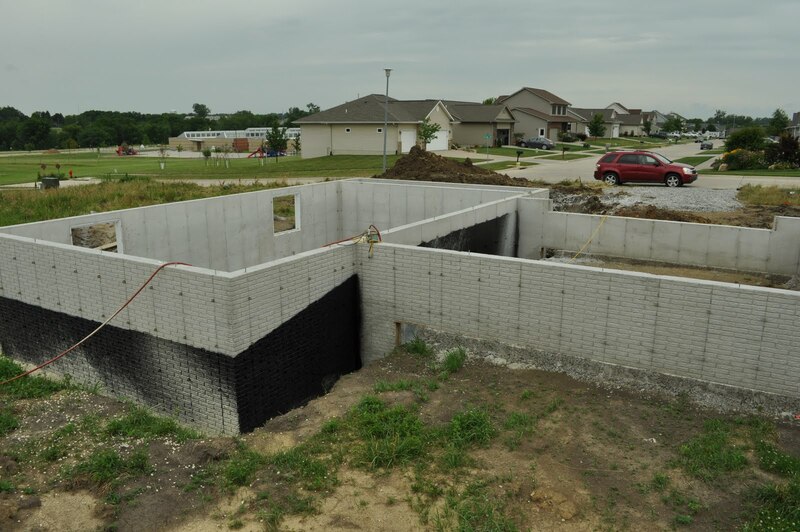 The weather has not been favorable with the excessive amounts of rain that we have had during June and July, and it is making it impossible to backfill around the foundation. We are waiting and hoping that this won’t hold us back from closing on time, and we have been assured that it isn’t crisis time yet. The builder has built a house from nothing to complete in 70 days and we are currently 61 days from our proposed closing date. Rain Rain Go Away! The good news is, once they get started, it should come together really quickly to stay on target, and we also built in a couple of extra weeks to the timeline so we won’t be homeless if this continues for a bit longer. There are lots of things going on in my life that are testing my ability to have patience in those things that I can not control, and this is no exception. Serenity now!